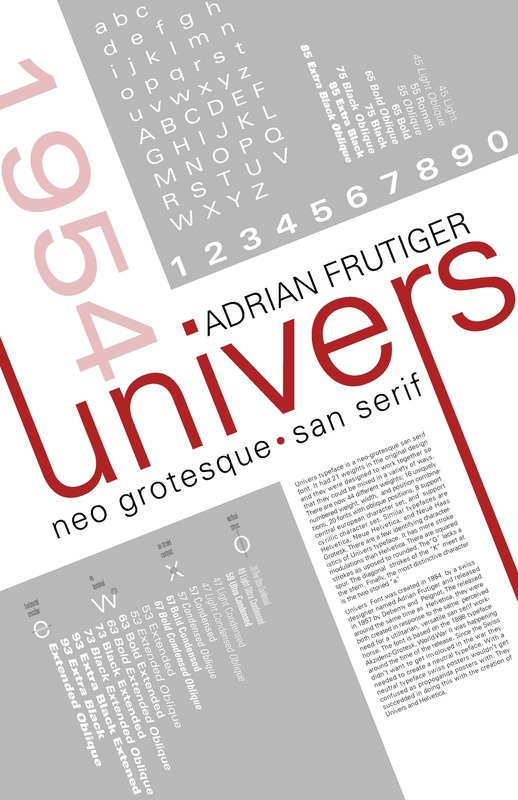 These typographic posters give a brief overview of the typefaces Univers and Helvetica. The goal was to create posters using visual hierarchy that is interesting and well organized. These were successfully done by variations in weight and font size, research, and color studies. The posters contains the typeface name, designers name, type classification, and year of typeface’s release. The different weights of typeface are listed, as well as a lower and upper case alphabet and number system. A brief description of the history of the typeface is provided with information on any updates. Finally, specific characteristics to the typeface are highlighted on the letters: e, x, w, and o. These are 11″×17″ posters and can be used in design classrooms to teach students about the typeface, or as decor in a home, hotel, etc. The colors of the posters are based on the Swiss Flag. 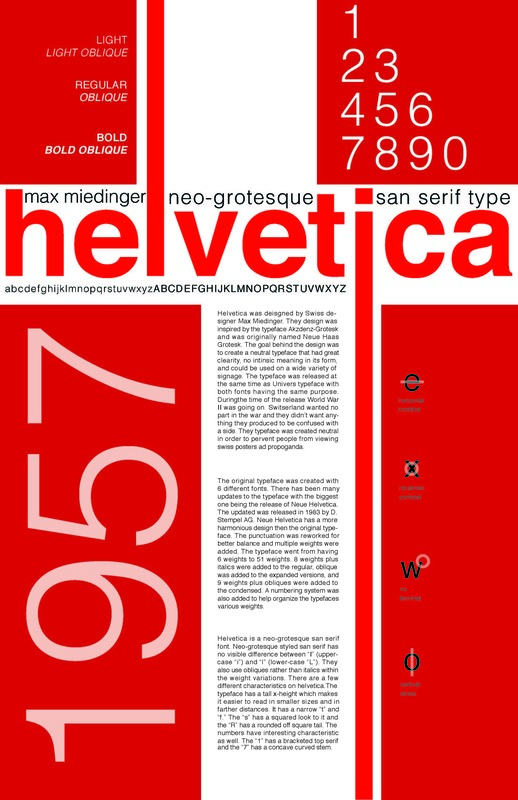 Both Univers and Helvetica were created in Switzerland during World War II. They have a geometric structure in order to differ from the style of other countries’ propaganda designs. 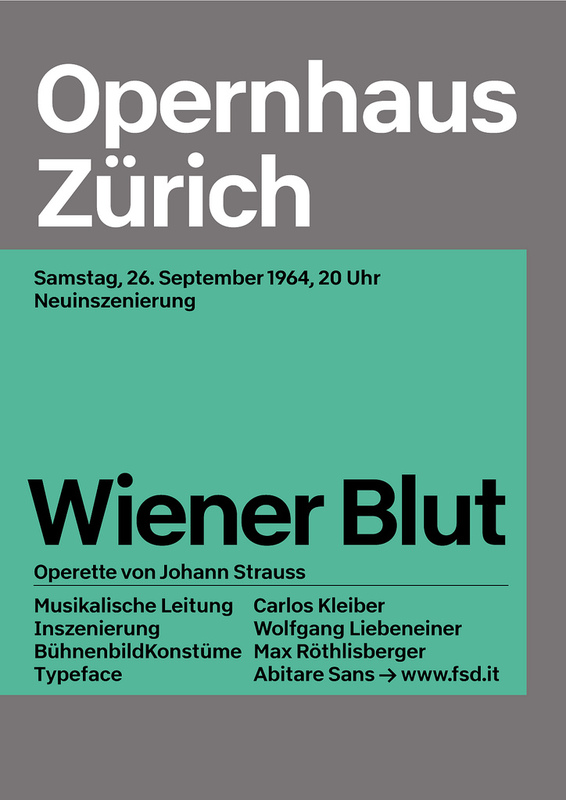 The neutral look of the posters are similar to the Swiss poster design style during the War. The layout of the posters are cohesive, so that they could be used alone or as a set.